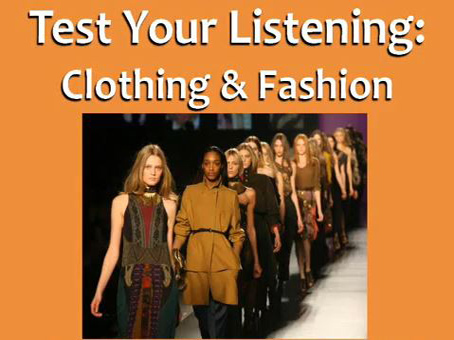 In this lesson you will test your listening skills and expand your Clothing and Fashion vocabulary. The teacher discusses her own opinions and experiences with Clothing and fashion. After listening to the video, take the quiz below to test your new knowledge and also read the transcript for an explanation of some of the vocabulary words.